The Bee Gees were an integral part of my musicianship and my childhood. A non-musician will NEVER understand how it hurts when one of your influences passes. Maurice and now Robin are gone, leaving Barry. Here's the message left today on Robin's website. 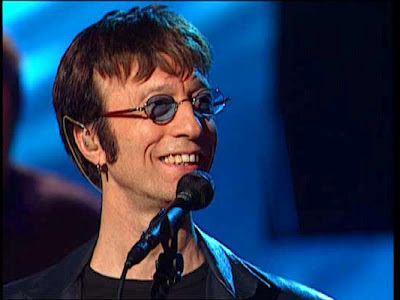 "The family of Robin Gibb, of the Bee Gees, announce with great sadness that Robin passed away on Sunday 20 May, 2012 at 10:46pm following his long battle with cancer and intestinal surgery. They have asked that their privacy is respected at this very difficult time." Robin Gibb was 62 years old.